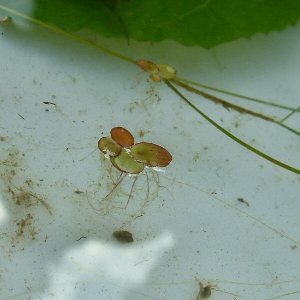 The individual plants of this small species are similar to those of other floating duckweeds, but have more than one root per plant segment. 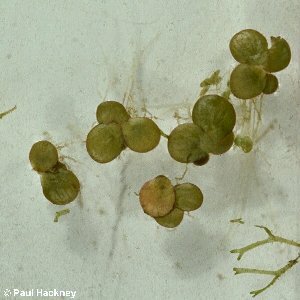 Its distribution is fairly similar to that of the fat duckweed (Lemna gibba), but is somewhat more widespread. Both are mostly found in Lough Neagh and the connecting canals and rivers, in Upper Lough Erne, and in the lakes of eastern Co. Down. All names: Spirodela polyrhiza (L.) Schleiden; Lemna polyrhiza L.